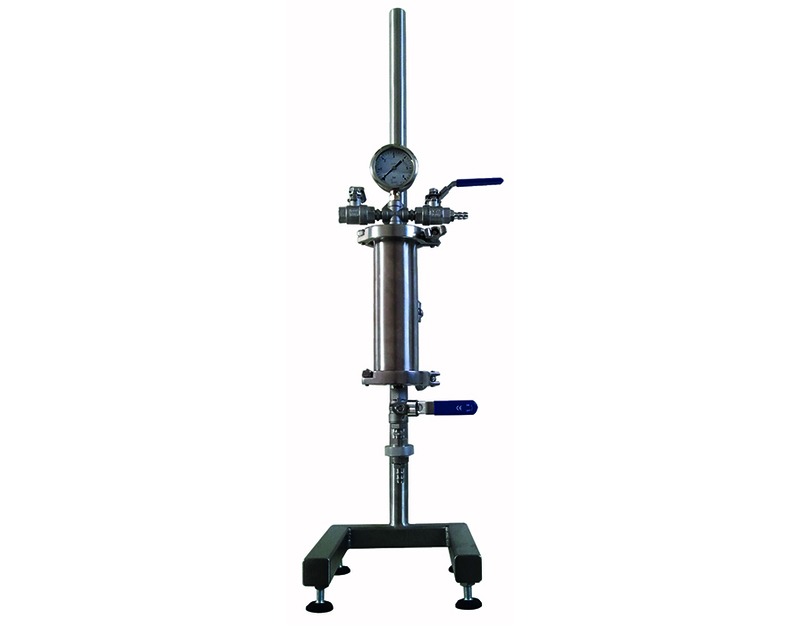 This instrument is designed to determine the clogging index based on the measurement of the time of filtration of successive parts of 400ml of a wine filtered at room temperature under a 2-bar pressure on a membrane of a diameter of 25mm and a porosity of 0.65µ. 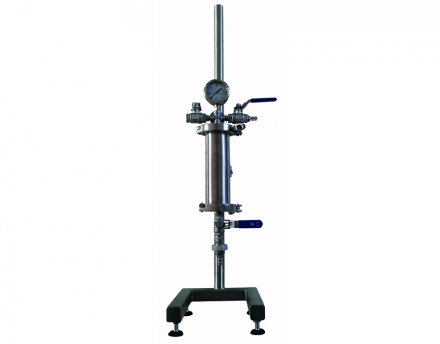 - At the top: a set mounted on the lid of the tank with a control manometer 0 to 4 bar, 1 draining valve and connector diameter 6 for nitrogen or compressed air connection. - At the base: 1 stainless steel valve ¼" with a removable DIN male connector to install the filter support disk.